There’s a growing group people who are always online and use their devices to support nearly every activity, including making decisions about your products and services. We call them your perpetually-connected customers. They will shake you marketing to the core, because they value service and utilility — not ads buzzing in their pockets. To thrive, you need new tactics and a culture of innovation. In the run-up to our Forrester Forum for Marketing Leaders EMEA, I’ve been speaking about marketing innovation with one of our keynotes Greg Williams, Executive Editor at WIRED. As an editor, speaker, and writer, Greg scouts the best glimpses of the future that exist in the here-and-now. Here are some of his thoughts. Q: What’s your favourite example of an application that merges the digital and physical? A: It’s a really hard thing to get right. 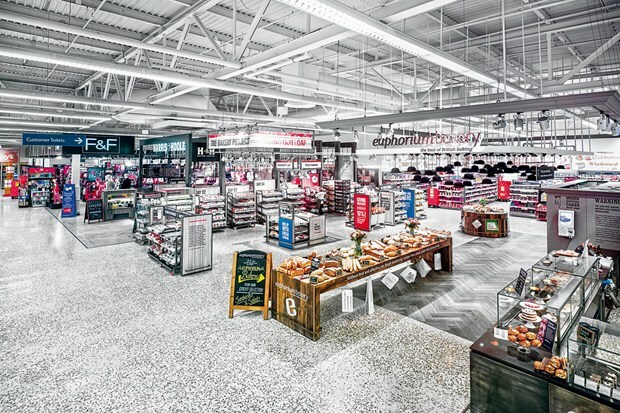 A successful example is Tesco’s South Korean operation, which is called Home Plus. As part of its drive to become the number one supermarket chain in the country it did some research, which revealed that – as people in South Korea work some of the longest hours in the world – they found supermarket shopping an enormous chore. Home Plus reacted to this by posting detailed photographic images of its stores (everything from meat counters to shelves of cleaning supplies) on the walls of subway stations. This enabled time-poor commuters to use their mobile devices to scan QR codes and have their goods delivered to their homes within hours. Home Plus online sales went up by 130 per cent in three months helping it to close the gap on the market leader, E-Mart. Q: Are there low-risk ways for brands to open up innovation? A: I think that it’s a mind-set more than anything else. I did a talk for a large energy company a few months ago that was trying to improve its knowledge flows. They’d got people together from all over the world who work across various parts of the business that basically operate in silos. Instituting large-scale change was high-risk for them in terms of cost and they didn’t know where to start. In instances like this I think that the only way to initiate change is to try and forget that you work in a large institution and act like an entrepreneur and energise your team or those around you and, essentially, attack the way that you work. You have to hack your own business, your own working methods and the only way to do this is to have a culture of openness. Q: What’s the most common mistake that brands make when story telling? A: People talk a lot about uniqueness and setting your brand apart, which are important, but I feel that, in many ways, content marketing is no different from writing a novel or a movie – it’s about creating a narrative with emotional resonance. To steal from John Lasseter, the chief Creative Officer at Pixar, there are three words that really count: make, me, care. Hear more from WIRED’s Greg Williams in May at Forrester’s Forum for Marketing Leaders EMEA, May 21-22 in London.